Shadow Brexit Secretary Keir Starmer said his party would try force the Government to give Parliament more control over Theresa May’s Brexit negotiations [Image: Rex]. “Take back control” was the big, banner-riding rallying-cry for Brexiteers everywhere in the run-up to the EU referendum. Did those people have any idea they would actually be handing control to Tory ministers and not to the UK Parliament? Under the terms of Theresa May’s plans, Conservative cabinet ministers will be able to ditch your hard-won human and working rights without any Parliamentary scrutiny at all. The response from Labour, as outlined by Keir Starmer, seems to be what This Site and its readers reasoned last week: Support the implementation of Article 50, because that’s what the public demanded, but oppose anti-democratic plans by Theresa May and her government. This refers to the so-called Great Repeal Bill, rather than the vote on any expected exit agreement Mrs May might make with the EU. The Bill would repeal the 1972 European Communities Act with which the UK joined the EEC (as it was then known) and enshrine all EU law relevant to the UK into UK law. Then comes the sticking-point: Tory ministers would then be allowed to ditch anything they didn’t like, using so-called ‘Henry VIII’ powers. Labour will not accept this. Nor should you. So next time you see someone who told you that Brexit meant “we” would “take back control”, ask them who, exactly, “we” are supposed to be. Did they mean “we, the people” – or “them – the Tories”? Labour will not back a vital piece of Theresa May’s Brexit legislation if it contains sweeping powers allowing ministers to scrap vital workers’ rights, human rights and environmental provisions. 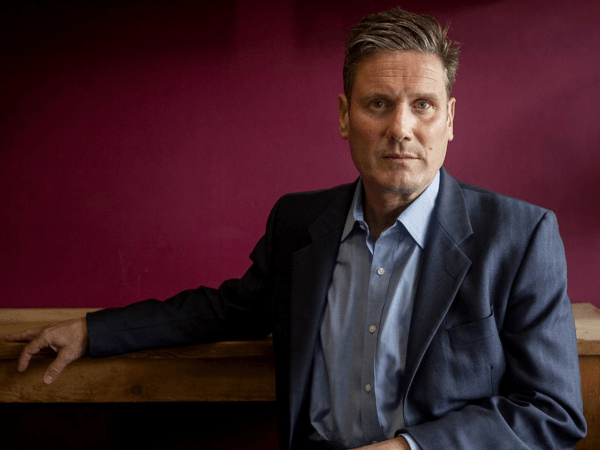 Shadow Brexit Secretary Sir Keir Starmer vowed his party would fight Ms May “all the way” if she tried to use Brexit as an opportunity to adopt the so-called “Henry VIII powers”. The expected move by the Government would render Parliament almost powerless to stop Tory ministers in post-Brexit Britain from dumping rights previously enshrined in EU law. Because the terms of Theresa May’s Brexit deal will not be known when the legislation is to be passed this summer, the bill is likely to include a “Henry VIII clause” – named after the all-powerful king – allowing ministers to ditch bits of EU law they do not like with little parliamentary scrutiny. Taking back control of what they never lost, the slogan should have read. Even now I don’t believe many who voted leave realise what nasty surprises the small clique of right-wing Tories have in store for the. I agree totally with your views here Mike but the problem is that it seems Labour is unwilling to vote against article 50 even without knowing what it contains. Unless the terms are made openly to the public beforehand, it would be very dangerous indeed to allow it to proceed and Labour as well as Tory MPs should not allow this to happen. “Everybody who wanted to ‘take back control’ when they voted ‘Leave’ must be feeling sick now” – I’m not sure they will be feeling sick, they are too thick to realise they were well and truly conned. What’s more, they are so head up their asses and too proud to admit it, even if it were proven to them. Nobody likes being made a fool of, but some are just too small minded to acknowledge it. I knew that and in fact attended a presentation where the talk was centred around the eu human rights and what lying tory was up to, It does not take a great deal of working out when you see who they had running around on the pretty red bus of lies, mainly faces from the dwp or ex faces, who are so accustomed to lying it has become normalised behaviour for them, when i saw that bunch, I asked myself 3 questions against there name. 1. could you trust them? 2. would you trust them to spend taxpayers money properly? 3. do you think there fit for purpose in any government role? there was not a single mark in the box marked yes to all 3 questions,if you notice now one of the hated ones has got his voice back after he left the dwp, wonder what he has got planned to further his career when he is not depressing people with his thousand pounds a hour speech about what a great person he is, just remember local elections will be coming soon, they need to be reminded big style who they are answerable to, not some bunch of lying hypocrits who go round thinking a suicide caused by there policies is a good thing or a NHS knackered because they cannot gaze into a crystal ball and realise we need more staff. the great British bill of rights, i do so love that, interesting that they are not letting anyone except there own pig-headed people decide about this great british bill of rights, I wonder who it is really great for , it needs some additions, like MP’S being immune from prosecution for bad policies, Mp’s being immune for wasting money on things that are not fit for purpose, Mp’s being allowed to pour hundred on there expenses and not worry about prosecution, Nice breakfast for someone? and lastly we should feel sorry for these guys, when no one can afford there affordable housing as minimum wage won’t cover it, give it to there mates. that about sums this lot up, would you trust them, I certainly do not! The possibility of the Tories using ‘Henry VIII’ powers is ground enough for Labour to oppose the invocation of Article 50 and can be justified without drawing the accusation of ignoring the ‘will of the people’. Every step the Tories are allowed to make unopposed will strengthen their position.